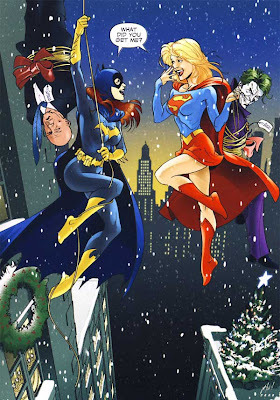 FELIZ NAVIDAD Y PROSPERO AÑO NUEVO 2009! 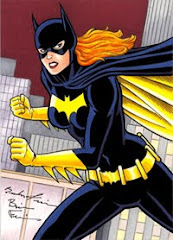 "Batgirl, real name Barbara Gordon, the teenage daughter of Gotham's Commissioner Gordon, is a strong-willed, stubborn teen with an ironic wit. 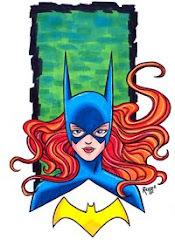 Inspired by her first contact with The Batman, she dons the cape and cowl to become Batgirl to help save her father from the hands of former friend and now villain - Poison Ivy". 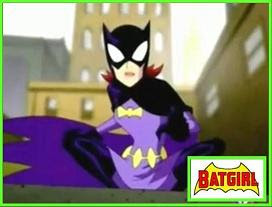 In this animated series, Barbara also appears in an special episode placed in the future in her Oracle persona. 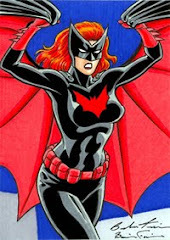 And if no one noticed... this is the first time in "Chicas de Rojo" that the character of Oracle is ever mentioned. 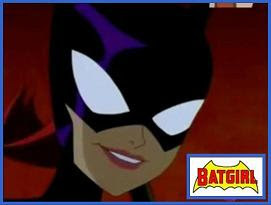 But then came Justice League Unlimited. 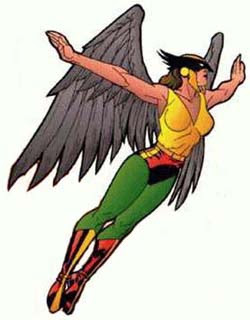 When Salomon Grundy resurrected and was wreaking havok, Hawkgirl returned and was the only one who could stop him. 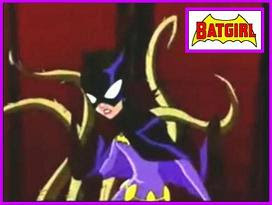 She was ashamed for the part she played in the invasion, but despite this, she was welcomed again in the team's ranks. 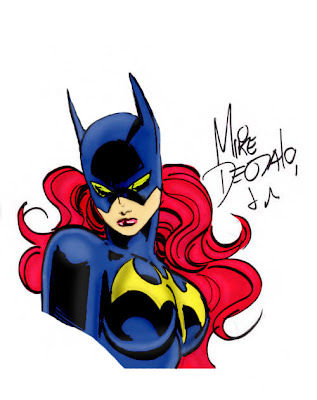 Batgirl by Mike Deodato Jr.
Free... that's Hawkwoman. 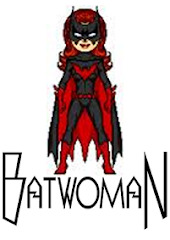 Who wouldn't like to grow a pair of wings to leave the ground and take the highest flight? Here are some images of the winged wonder in the air! 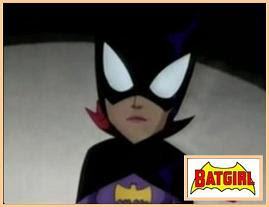 The first shot is by Bruce Timm, prior to his Justice League hit series; the second shot shows two beautiful aliens: Shayera Thal from Thanagar and Kara Zor-El from Krypton (courtesy of a website called captive 2D); the third shot is from an Adventure Comics cover. Libre... así es la Mujer Halcón. Quién no quisiera tener un par de alas para poder despegarse del suelo y emprender el vuelo más alto? Aquí están algunas imagenes de la maravilla alada en el aire! 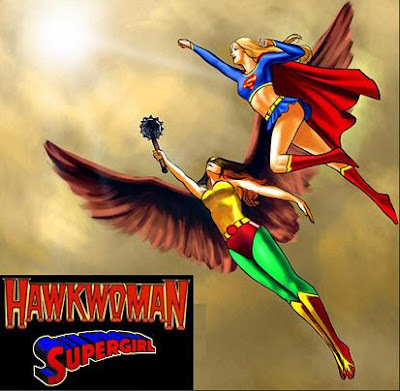 La primera imagen fué dibujada por Bruce Timm antes de su éxito con la serie animada de la Liga de la Justicia; la segunda imagen muestra a dos hermosas extraterrestres: Shayera Thal de Thanagar y Kara Zor-El de Kryptón (cortesía de un website llamado captive 2D); la tercera imagen pertenece a una portada de Adventure Comics. Fans are extremely creative and here are some examples of that. 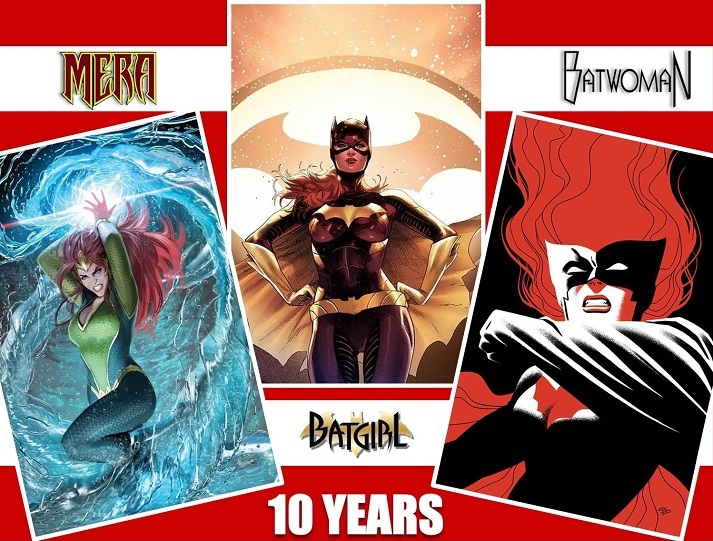 First, we have a great custom background based on the Tanner Doll Company version of Mera, Queen of Atlantis designed by themeridienne dot com; then we have two custom Barbie redheads: Batgirl and Mera; finally, a custom Justice League Unlimited Mera, and another Barbie Mera on her seahorse. Los aficionados son extremadamente creativos y aquí hay algunos ejemplos de esto. 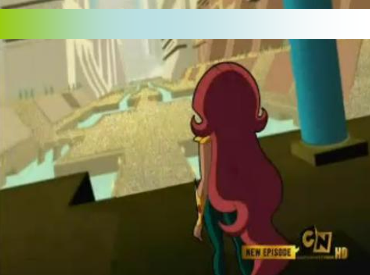 Primero, tenemos un gran fondo personalizado que se basa en la muñeca de Mera, Reina de Atlantis; después tenemos dos Barbies pelirrojas: Batichica y Mera; finalmente, una Mera de la serie animada de la Liga de la Justicia, y otra Barbie Mera en su caballito de mar. Okay, so maybe not a spokesperson,but how many of you have had the chance to appear in an add to sell a product? 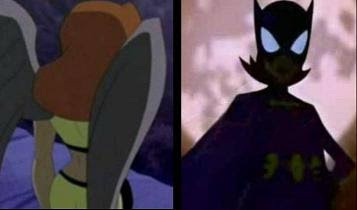 The Justice League had just fought the evil Count Crystal who had apparently killed Superman and trapped his soul in limbo. 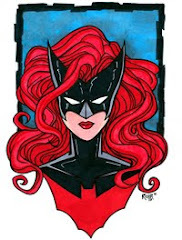 Thanks to the help of Hawkgirl, the League was able to bring the Man of Steel and the Phantom Stranger back to life, but a third character returned from the dead as well: The Red Tornado. 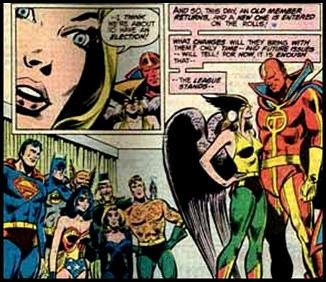 The android proved to be none other than the Construct possesing Red Tornado's body, and in order to fight him, the League needed all the help they could get, so Hawkman proposed that Hawkgirl be given full official status as a member of the Justice League of America. 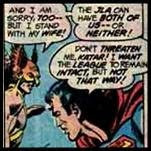 Surprisingly, the only member who opposed this idea was Superman, the Man of steel; under the excuse that the by-laws ruling the League prohibited it, he rejected the idea of Shayera joining. (What a jackass! 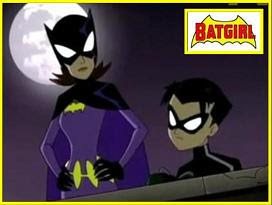 She had just helped to resurrect him). 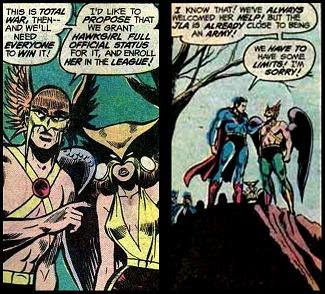 Hawkman was very final: if his wife is not allowed in, then he would leave. Thankfully, the Phantom Stranger intervened and momentarily defused the awkward situation. The heroes left to fight the construct. ...and Superman looked like an @$$bag. 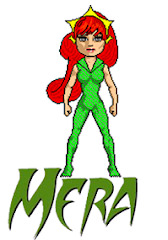 Remember that posting a while ago that featured Mera by the Tonner doll company? 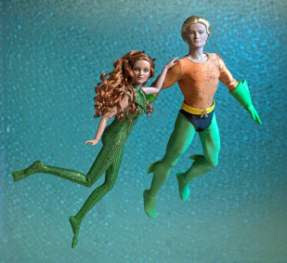 It had been 40 years since a Mera doll had been produced (by Ideal in 1967). 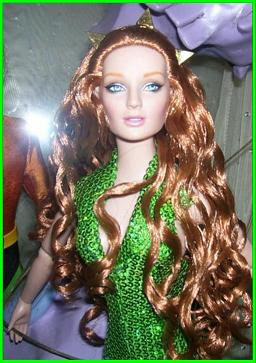 This time it only took one year before Tonner produced a second Mera, this time as part of the Women of Power collection that also features Wonder Woman, Black Canary, Supergirl, and Poison Ivy. 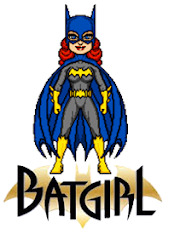 Below is the description of the doll by the manufacturer. 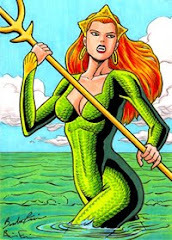 Married to Orin (better know as AQUAMAN), MERA™, QUEEN OF ATLANTIS is the most spectacular Atlantean under the sea. 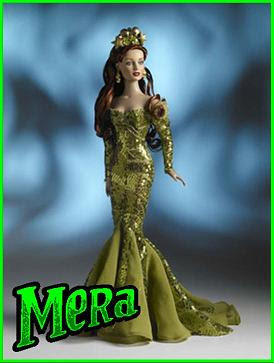 MERA™, both brave and beautiful, is dressed in a radiant evening gown of luminous sequins. This strapless body skimming gown with funnel sleeves and elegant train of sequins and multiple chiffon godets is the perfect outfit for any underwater soirée. 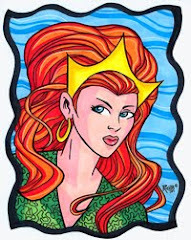 The Atlantean queen wears a royal crown encrusted with sparkling beads, gilt shells and starfish. Dangling sea shell earrings, pantyhose, and matching faux leather heels complete her regal ensemble. Display stand included.